By just after 1pm this afternoon, all 5 Robin chicks had fledged and left the nest. 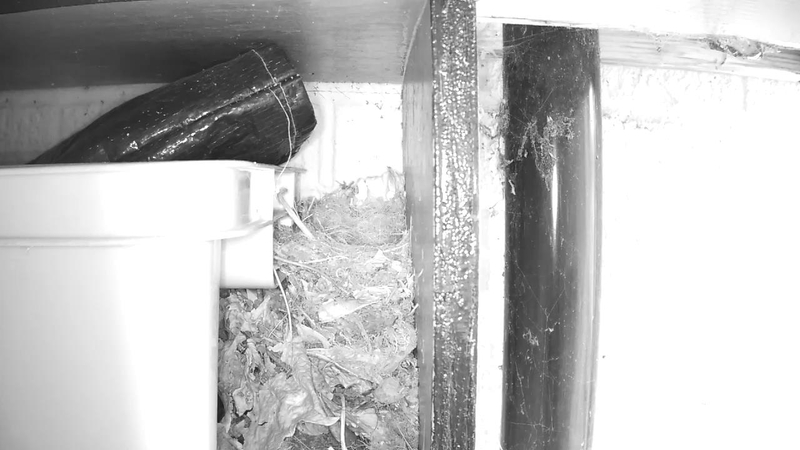 To be fair, they didn’t travel very far and made it to surrounding items in the undercover storage area their nest was in. By late afternoon most had ventured further into the garden, with a bit of encouragement from mum, dad and a mealworm or two!